Our first Christmas in our house 10 years ago, I tied our stockings to the banister in our living room that over looks our entrance way. A few years ago I decided to try something different and have been using it ever since. 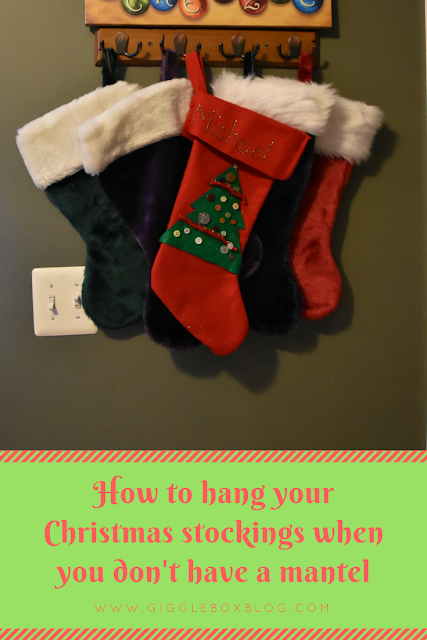 You'll first want to find a wall to hang the stockings on. 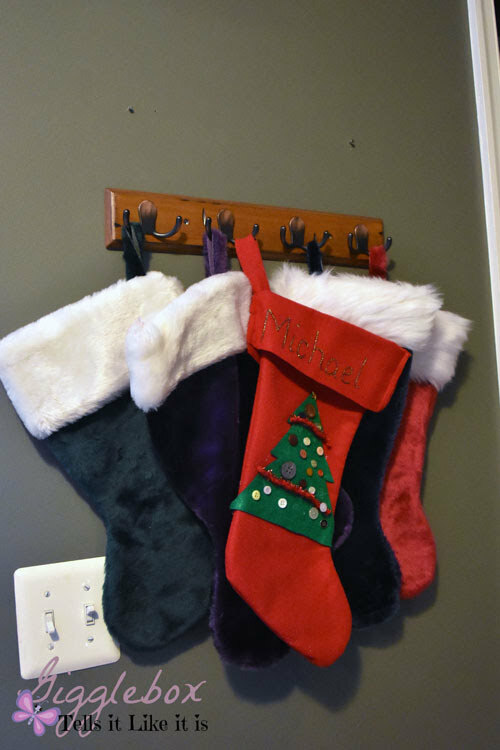 This wall is just the perfect size to hang stockings. Throughout the year I have this frame hanging up. So, during Christmas this frame is taken down. Surprise! The frame was hiding some screws for hanging the stockings. 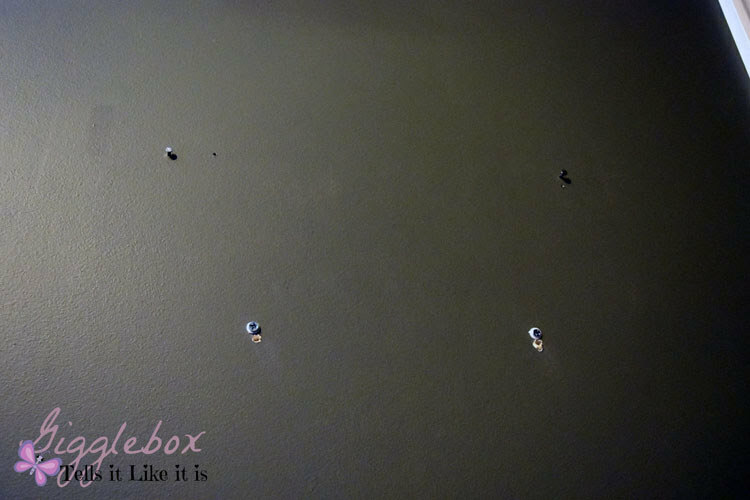 To hang this wall hook that I bought from Walmart, I unscrew the screws that are hidden by the frame and then use them to screw the hooks to the wall. Then hang up your Christmas stockings on the hooks. When I first put this up, I had all intentions of making a sign to hang above the wall hooks to hide the nails. A year or so, my mother-in-law gave me a Christmas sign that no longer fit with her Christmas decor. It worked perfectly over our stockings! 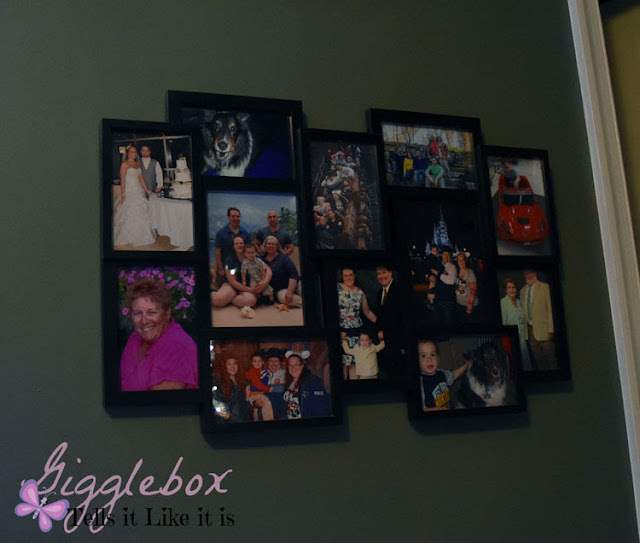 Do you have a no mantel problem at your house? 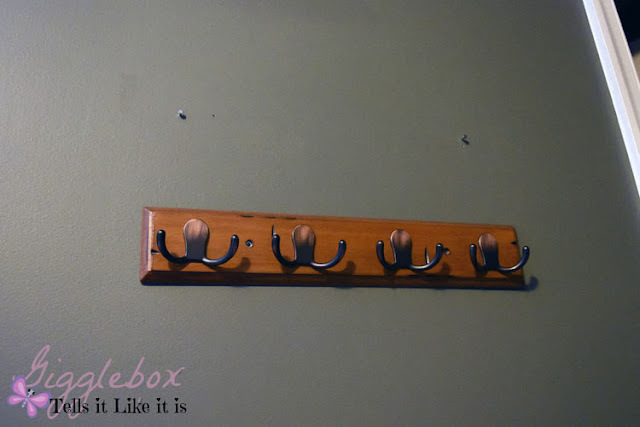 If so, how do you hang your stockings?